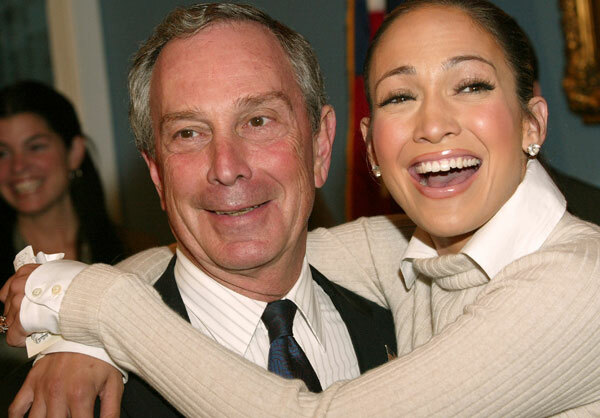 A golfing holiday and learning to speak Spanish “like a native” are at the top of New York Mayor Michael Bloomberg’s list of activities he’ll pursue for 2014. Bloomberg, who famously–or infamously–summarizes his press conferences in both English and Spanish, is determined to continue improving upon his language skills even after his final term ends. In a Forbes magazine interview, Bloomberg was asked about what he’ll be doing come January, when his 12 years in City Hall come to a close. In addition to planning a vacation to Hawaii and New Zealand–he claims it’ll be his first vacation in 12 years–the mayor said he’d be doubling down on his Spanish skills. Bloomberg’s Spanish is often a subject of fascination and one particularly prominent Twitter account, “@ElBloombito” has been politely skewering his command of the language since mocking his performance at Hurricane Irene press conferences in 2011. The Bloombito account, however, is an exaggeration, according to some observers. “My Spanish skills I can tell you poke a poco they mejora pero es dificil tengo 69 años,” Bloomberg responded. “Es difícil para aprender un idioma. Para todos gracias. Por los bombieros muchas gracias por tu ayuda”. Maybe Mr. Bloomberg (he’s 71 years old right now) wanted to say “Mi español mejora poco a poco, pero es difícil ya que tengo 69 años. Es difícil aprender un idioma. Muchas gracias a todos. Gracias a los bomberos por vuestra ayuda“. Many commend the Mayor for his attempts at trying to communicate with the Hispanic community and others ask him to brush up on his skills. What do you think?